Jazz news: Poncho Sanchez To Headline Free Tucson Downtown Jazz Fiesta On MLK Day 2019! Plus this dynamic lineup including: Trombone Shorty, Kathleen Grace with Larry Goldings, UA Studio Jazz Ensemble with Terell Stafford, and Sheila Jordan with Cameron Brown on sale August 24! The line-up for the 5th annual Tucson Jazz Festival, scheduled for January 11-21, 2019, continues to take shape with the announcement of Poncho Sanchez headlining the free Downtown Jazz Fiesta on Monday, January 21, 2019 (MLK Day). Last year the Jazz Fiesta drew more than 12,000 people downtown. Funding for the concert is provided, in part, by the Arizona Commission on the Arts and Rio Nuevo. As the finale, the Downtown Jazz Fiesta will transform downtown Tucson into a concert destination with 30 bands performing in 5 venues including 2 outdoor stages on MLK Day, from 11:00 a.m. to 9:00 p.m. In addition to live performances, the Downtown Jazz Fiesta will include beer gardens, food trucks featuring a variety of cuisines, art demonstrations, interactive experiences and the unique and eclectic bars and restaurants of downtown. 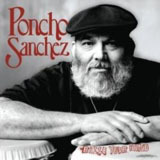 Poncho Sanchez is a Mexican American conguero, Latin jazz band leader, and salsa singer. In 2000, he and his ensemble won the Grammy Award for Best Latin Jazz Album for their work on the Concord Picante album Latin Soul. Sanchez has performed with artists including Cal Tjader, Mongo Santamaria, Hugh Masekela, Clare Fischer and Tower of Power. This year, with the addition of Poncho Sanchez, we expect the Downtown Jazz Fiesta to continue to grow and we are anticipating more than 15,000 attendees," said Yvonne Ervin, founding Executive Director and current Artistic Director. Tucson Jazz Festival organizers also announced that several recently added concerts will go on sale Friday, August 24: On Monday, Jan. 14, Kathleen Grace, an internationally recognized jazz vocalist, songwriter and educator, will be performing at Club Congress with pianist Larry Goldings. Grace, a Tucson native, appeared with Portugal the Man on the American Music Awards and will be featured on Jim James' (My Morning Jacket) solo 2018 album. The UA Fred Fox School of Music Studio Jazz Ensemble with Terell Stafford will be at Crowder Hall on Tuesday, Jan. 15. Stafford, an acclaimed trumpet player and educator who is Director of Jazz Studies at Temple University, has been hailed as one of the great players of our time, a fabulous trumpet player" by piano legend McCoy Tyner. Saturday, January 19 NEA Jazz Master Sheila Jordan and Cameron Brown will perform a jazz vocal and upright bass duo at the Temple of Music and Art. Jordan made history with her classic 1963 debut Portrait of Sheila, Blue Note record's first album by a vocalist. 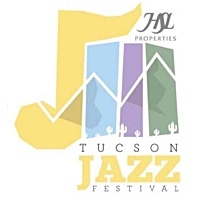 The 11-day Tucson Jazz Festival, scheduled for January 11-21, 2019, will also feature performances by Joey Alexander plus the Tucson Jazz Institute Ellington Band with special guest Terell Stafford, Bobby McFerrin, Asleep at the Wheel, Trombone Shorty, Pink Martini and the Tucson Symphony Orchestra, Special EXF with special guests Regina Carter and Eric Marienthal, Tucson Swings Brightly: The Music of Nelson Riddle featuring Ann Hampton Callaway, and an all-women double bill with the Magos Herrera Quartet and Jane Bunnett and Maqueque. Two of the shows are sponsored by the Tucson Desert Song Festival: Mr. McFerrin and the all-female show. All shows are expected to sell out this year as ticket sales are currently far ahead of last year's numbers. Seven of nine shows sold out at the last Tucson Jazz Festival held in January 2018. Tickets can be purchased through the festival website. Jazz in January, Inc., is the non-profit organization which presents the annual HSL Properties Tucson Jazz Festival each January. The festival is 11 days long, the centerpiece of which is the free daylong Downtown Jazz Fiesta on MLK day featuring two outdoor stages and performances at multiple venues in downtown Tucson. World-class jazz acts of genres from straight ahead to contemporary jazz are featured at venues in or near downtown.